As a University partner, the Center for Museum Education of Roma Tre concentrated on organizing workshops to promote the ideas of the EMEE project during its EuroVision Lab. With the help of the Roma Tre University’s EMEE partners network, which consisted of renowned museums and institutions, and the help of the project’s link to CECA, which is one of the most productive committees of ICOM and presided over by Prof. Emma Nardi, the Italian partners succeeded in reaching out to and involving a broader network of international museum professionals, but also the general public. With regard to the Italian Lab. activities, one central element was a workshop series entitled Experiencing the Change of Perspective. These workshops were organized in cooperation with the Museo Nazionale Romano Terme di Diocleziano (National Roman Museum – Baths of Diocletian), and the Archivio Antonio Cederna. During the first workshop, participants received training on the implementation of a laboratory activity aimed at designing an Exemplary COP-Unit. The second workshop of this series, whose motto was All Roads lead to Rome, took place at the Appian Way Archaeological Park and was based on the Exemplary COP-Unit referring to the same topic. Another major task of the Italian EuroVision Lab. 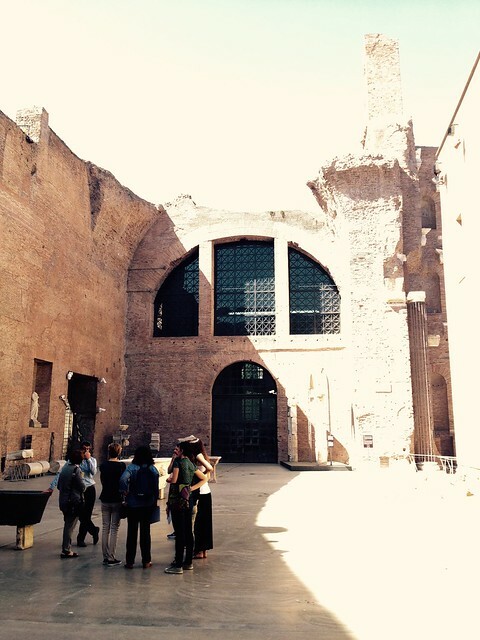 activities revolved around the discussion of the EMEE concept with museum professionals during a symposium at Roma Tre in June 2015. The wider context of the symposium was the ICOM General Conference in Milan 2016. Moreover, and with the goal of reaching out to a wider public, the Center for Museum Education organized an international conference that dealt exclusively with the EMEE project and was entitled Una prospettiva internazionale per i musei europei. This workshop is designed for the museum operators interested in experiencing a new approach in museum education aimed at opening multidimensional perspectives on the history and culture of both the single European countries as well as on Europe as a whole through the presentation of the museum object. The activities proposed in the workshop will experiment the EMEE transnational perspective, also encouraging participants to develop new strategies to engage museum audiences. Una lettura europea del patrimonio culturale. This workshop is based on the exemplary module ‘All roads lead to Rome’, designed by the Italian team of the EMEE project to introduce and put to work the three EMEE Changes of Perspective. It will be held in the Archaeological park of the Appia Antica with the bachelor and graduate students of the Centro di Didattica Museale. Museum professionals and operators are welcome to participate in a Symposium/Round table organised by the Centre for Museum Education, University of Roma Tre. It will introduce the EMEE project and engage different experiences of the museum to share their views in a round table. The discussion on the challenges of the museum of the future will be enriched by the contribution of Prof. Han van der Meer from the Delft University of Technology. The Centre for Museum Education, University of Roma Tre is glad to invite you to a public conference aimed at introducing the EMEE-project to a broader audience: an international perspective for European museums. 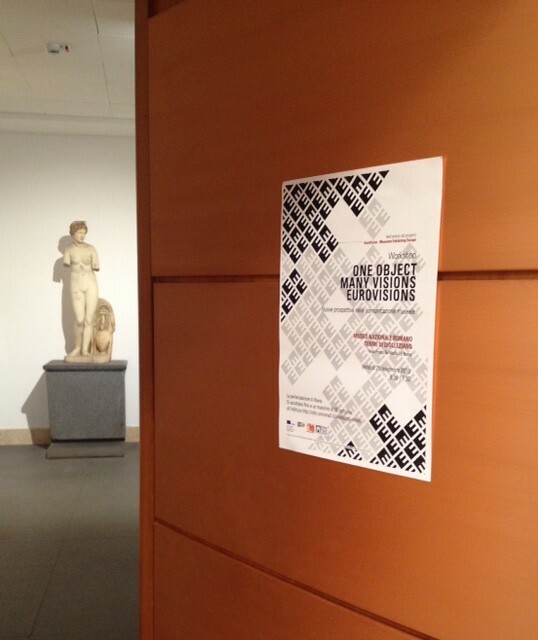 In collaboration with the Museo Nazionale Romano Terme di Diocleziano and with the Galleria Nazionale d’Arte Moderna – both Workgroup partners of the EMEE project – the post graduate students of the Centre for Museum Education, University of Roma Tre (mostly young museum operators) will attend a series of lectures on the tools and guidelines of the EMEE-project and will be guided in the implementation of a laboratory activity based on them. EuroVision Lab. workshop in Italy: ‘One Object – Many Visions – EuroVision. Nuove prospettive nella comunicazione museale’ run sucessfully at the Museo Nazionale Romano – Terme di Diocleziano, Rome/Italy.